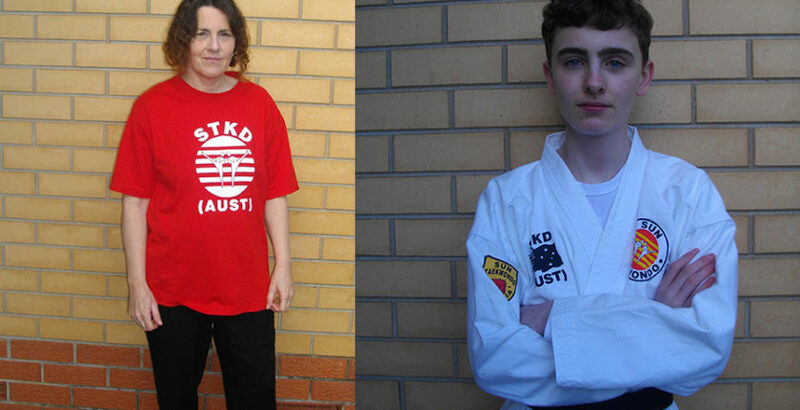 In this edition of “Student Spotlight”, we would like to highlight a wonderful mother and son (or mum and son) whom train with us in two of our courses. They are students of the Total Krav Maga course and also the Ultimate Chuks course. Read more about their journey through the martial arts, and what has brought them to Black Belt at Home. My name is Cindy. My martial arts career started back in 1988. I attended the local Rhee taekwondo class and continued to practice the art for several years. Unfortunately, due to some health issues with my feet I couldn’t grade for my black belt (as this required breaking boards using different styles of kicking.) My highest rank of achievement was black tip. I later studied fitness and became a qualified fitness instructor. Working mostly with night classes instructing aerobics made it difficult to attend Taekwondo classes, so I eventually stopped the Taekwondo training. Years later I married and had 2 boys. My eldest son Brandon started attending Shotokan karate classes when he turned 9. This returned my interest in martial arts, however now I had issues with my thyroid and was unable to join in. 3 ½ years later Brandon received his black belt and was looking to find another martial art style. My youngest son Levi also became interested. I had made some health changes went on a gluten free low carb diet, started doing weight lifting and along with medication for my thyroid I began to feel the best I had in years. I returned to Taekwondo for a year but I found training after 7pm influenced my metabolism and this prevented me from sleeping at night. Both my sons didn’t like doing Taekwondo so we looked online to see if there were any online martial art classes available, we found Global martial arts and joined black belt at home classes. 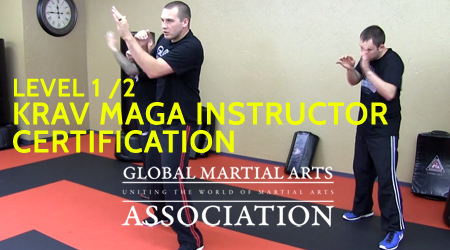 Krav maga is something we don’t have where we live and after watching a few YouTube videos we found it to be one of the best self-defence forms out there. Now we can train whenever we like and best of all I get to do this with my 2 sons. My eldest Son Brandon is grading with me and my youngest son Levi isn’t interested in grading but he still trains with us. We’ve been doing this for nearly a year now and love every minute of it. Brandon has also always wanted to learn weapons so we both thought we’d give nunchuks a go. This would have to be my favourite as one of the things I miss in Taekwondo is doing the Kata’s, with the ultimate chuks course I get to do lots of fantastic, fun katas. I’m a stay at home mum so I get to practice my nunchuks daily. One of the best things I have done with my life is learning martial arts, it’s given me confidence, better health and taught me patience and perseverance. A great big thank you to black belt at home for your fantastic online lessons. My name is Brandon, I live in Australia and I’m 14 years old. I became interested in martial arts when I was around 4 years old. A huge Bruce Lee fan and like most children loved super heroes. My mum had experience in Taekwondo and started teaching me a few moves but it wasn’t until I turned 9 when I started my first official martial art class which was shotakan karate. I trained hard at this, very rarely missing a class even trained sometimes when I was sick, never missed a grading and never failed a grading. One of my biggest achievements in life was getting my black belt in shotokan karate. During this time, I competed in the state karate titles and was proud to receive a third position for my blue belt. I didn’t do any more competing after that as I’m not a competitive person and found it to be too nerve wrecking. After receiving my blackbelt I went on to try Taekwondo, although I loved all the new kicks I could learn, I really didn’t want to learn more Katas. Mum found blackbelt at home classes and straight away I wanted to learn Krav maga, it was just what I was looking for. I could train when I liked and it didn’t interfere with homework. 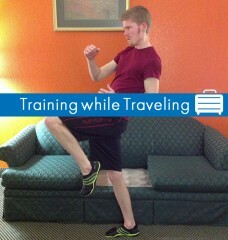 I’ve always wanted to learn martial art weapons, so we started the ultimate chuks course. There are katas to learn, however I feel I need the katas in this to learn how to flow between moves. I can’t train as often as mum because of school but I put in as much time as I can and love every minute of it. When I achieve my Black chevron, I’m hoping to start taking the bo class, looking forward to this. I’m planning a bright happy future full of martial arts. 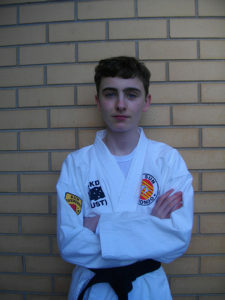 Want to read more inspiring stories about successful Black Belt at Home distance training students? Check out the Student Spotlight archives. I am hugh fan of Krav Maga. I am interested in becoming a black belt. I would like to start an after school program for children with severe mental illness as a coping method, psycho education program for conflict resolution ad self confidence. Will this program allow me to be license or authorize to open this type of facility. 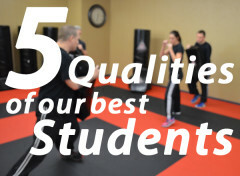 I’m glad to know that I can continue to improve my skills and teach other forms of martial arts.